Cooler Bags corporate gifts We sell a range of cooler bags in different shapes and sizes. These gifts are also wonderful handouts for family day gifts, National Braai Day Gifts and year end gifts and all year round corporate gifts. Big Game Folder Coolers. These make wonderful corporate gifts outdoor gifts for people who have group parties of functions. It has a durable 600D exterior. It has a large 24liter capasity. It comes with a foldable steel stand which makes it portable and convenient. Gone are the days of having to have huge galvanized bathes for your drinks. These nifty items fold away neatly and make wonderful . These gifts are also wonderful handouts for family day gifts, National Braai Day Gifts and year end gifts and all year round corporate gifts. 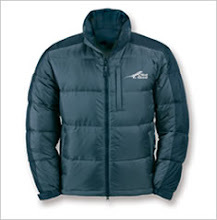 For other great outdoor gifts click on our outdoor gift link. Collapsible Trolley Cooler Bags as outdoor gifts. This is a wonderful year end corporate gift for gents. It helps with those beak breaking picnic days when husbands, boyfriends and dad all over South Africa have to lug all the picnic items over long distances. A collapsible trolley can be wheeled around or if you are desperate to carry something comes with a detachable adjustable shoulder strap. For other great outdoor gifts click on our outdoor gift link Portable Braais South Africa has so many great outdoor venues. Even if you are not planning to go away on holiday, you can still do a day trip to a river or a park that allows braais. The worst thing at a outdoor venue is when either all the braai sites are taken or when there are faulty stands or grills. So why not take your own portable braais. Portable braais make superb National Braai Day Gifts and well as good all year round corporate gifts and end of the year corporate gifts. For other great outdoor gifts click on our outdoor gift link Folding Chairs as Outdoor Gifts You can never have enough outdoor chairs. Particularly in the summer months when the African sun makes us all want to have braais and lazy days at the pool. A good stock of outdoor chairs can make sure that even surprise visitors have seating. For other great outdoor gifts click on our outdoor gift link Binoculars No great outdoor enthusiast should be without a set of binoculars. Whether you are using them for cricket days, rugby days, kids sporting event, bird watching or even overlooking the harbour at the ships coming in. This makes a wonderful outdoor gift, year end gift and general all year round corporate gift. To view a range of binoculars click on our Ultraoptec link. Six Sided Fold up Cooler and Stool If you are off to watch cricket, your children’s sports day, a good old fashioned picnic or a bring and braai at your friend, this gift works well as a chair and a cooler bag and you can make sure no one helps themselves to your drinks. These gifts are also wonderful handouts for family day gifts, National Braai Day Gifts and year end gifts and all year round corporate gifts. For other great outdoor gifts click on our outdoor gift link Picnic Sets Picnic sets are wonderful summer gifts for the romantic, outdoor enthusiast or family person. Four piece picnic sets are very versatile as they can be used for romantic Valentine’s day picnics as well as family picnics. Picnic sets are classical top corporate gifts. They can be handed out as Valentine’s Day gifts, National Braai Day Gifts, Family Day Gifts , end of the year corporate gifts or just all year round corporate gifts. For other great outdoor gifts click on our outdoor gift link Picnic Blankets Picnic blankets are wonderful corporate gifts. Whether you use it for watch the sun setting on the beach or for a romantic picnic for two at the botanical gardens a picnic blanket is a wonderful corporate gift to have in your collection. If you have children, it is always great to have a few of them on hand so that the adults can lounge on their own and the children can have their own picnic blanket. Picnic blankets make wonderful Valentine’s Day Gifts, National Braai Day Gifts, and general all year round corporate gifts. Braai Tools Braai tools are terrific men’s gifts. You may be tempted to think that if you have one set of braai tools, that is enough. But what of those bring and braai’s where you just don’t feel like braaing for everyone. That is when it is a great idea to have a range of braai tools so that everyone can braai their own meat. Braai tools make terrific outdoor gifts as year end gifts, National Braai Fay gifts, year end corporate gifts or just a all year round corporate gifts. For other great outdoor gifts click on our outdoor gift link Flasks One of our favourite brands of flasks is the Isosteel Range. The Isosteel range is German Engineering at it best. Nothing that we have come across beats the Isosteel range for the length of keeping drinks hot. There is a wide range of flasks in the Isosteel Range. Whether you are sending a group on a fishing trip, an outdoor team building adventure, Isosteel thermal flasks and thermal mugs are a must. Sadly many people leave the decision of their year end function gifts to the last minute and the gifts is one of the items that leave a last impression as it is the item that most enduring besides the memories. So rather in corporate gift planning with all your other event planning right at the beginning to avoid disappointment closer to the function. Here are some aspects to consider when planning for your year end function gifts. Theme of Gifts When planning for the year end function gifts consider providing gifts that can be used on the staff or customers on their holiday or in their home. Gifts of this personal nature far more appreciated than desk based gifts which are items that can only be used at work and while work is an important part of life and the basis of your relationship with them, no one wants to think of work at the end of the year. In the summer months people like to go for braais to the beach, have socials with friends and generally soak up the good weather. Ideas for the outdoor theme are picnic blankets, portable braais, cooler bags with braai kit inside, a stunning new gift is the big game folding cooler which is a large cooler that has a stand and can be filled with your favorite beverages. Amount of Space on the Table If you are planning to out your gifts on the table, you may want to consider smaller items that do not take a lot of space off the table. No one wants to have the gifts in the way of their crockery as they are just an irritation. On the other hand at some functions guests can also take more than one gift if one of your guests does not arrive and if the gifts are small then no one will notice an additional gift slipped into a handbag. Nice gifts are small in size are: The Icon Range of Carol Boyes Salad Servers; The Icon Range of Carol Boyes Sugar Ladles; Carol Boyes Bottle Opener, Carol Boyes Coaster Sets, ceramic coffee mugs, photo frame, key rings, notebooks, wallets and purses, pens and pens sets, sunglasses, book lights. Packaging of Gifts Gift wrapped gifts always look smarter than a gift left on the table. A lot of companies want to gift wrap in their corporate gift wrap. But first chat to your event coordinator about the colour scheme of your function and then purchase your gift wrap to tie in with the event theme. If your gifts are going to be wrapped and stored before the function, then only use fabric ribbon, as paper ribbon tends to bend and crease whereas fabric ribbon stays looking fresh for longer. Although ribbon with the wire inserts are beautiful for on the day gift wrapping for stored items a normal satin ribbon is better as the wire also bends if stored after wrapping. If your budget allows for it boxes with lids save you a lot of time in terms of gift wrapping. If you are branding ribbon please do allow for manufacturing time. Lead time of Gifts Take into account that your branding house will need time to create an artwork approval, have it signed off and book your branding production space, print, cure and repackage. As it is now peak season for the corporate gifting industry and over 50% of annual turnover for the industry is done in the last four calendar months of the year, you know that you will be competing for production space with many other companies. Handing Gifts out on Departure If your gifts are larger or you are concerned about security a very nice idea is to hand gifts out upon the departure of the guests. This is great for security, as then you are ensuring that each guest only one gift, which is important if your gifts are of high value. Handing gifts out upon departure also works well for large gifts that would not be able to be placed on the table. Large gifting items that can be handled out upon departure include: Sally Williams Gifting Hampers, Indestruktible luggage gifts, braai gifts, duffel bags, outdoor blankets, cooler bags, Carol Boyes ice bucket. 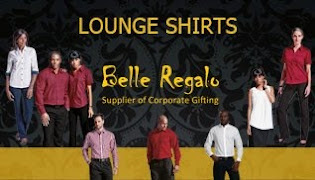 For more idea please visit our website www.belleregalo.co.za Useful links for gifts ideas. Try these links for end of the year gift ideas. 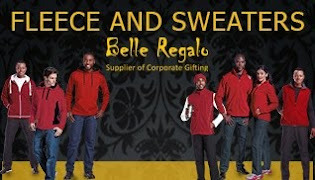 Carrol Boyes Range: http://belleregalo.bcgshop.co.za/carrol%20boyes/Products.aspx Sally Williams Hamper Range: http://belleregalo.bcgshop.co.za/sally%20williams%20hampers/Products.aspx Leisure and outdoor gifts: http://belleregalo.bcgshop.co.za/leisure%20and%20outdoor/Products.aspx Good luck for your year end function. It is a very sad person who does not love to receive corporate gifts. Almost everyone has it built into their system to live receiving gifts. But you may say that you know people who do not like receiving gifts. I know that my dad is one of those people who always say that you must not get him anything. But I now that he secretly hopes that he will get something. As a corporate gift supplier we have a lot samples. I can use my father a barometer for popular corporate gifts. When he comes to visit, I get a feel for what he likes. When I visit him in the eastern Cape and I have some of our gifts with us, then he breaks out of the “don’t get me anything” mode and starts telling me how much he would like to have whatever I have brought with me. Over the last few years, these are the corporate gifts that I have given my dad after he gets that “Oh, I would just love to have this” look. One Christmas we brought a car emergency kit with us. On one side, it had jumper cables, a few other car related items and then on the other side it had medical items. Once my father saw this, I just knew that we would be leaving this corporate gift behind. As there is no coffee station at his new job, the thermal coffee mug was a winner as he makes his coffee in the morning and takes with him to work in the mornings. Thermal coffee mugs make great all year round corporate gifts as well as year end gifts. As a buyer at a previous company, my father received a great many corporate gifts. Some he used a lot and some he left in the cupboard. One of the most popular corporate gifts that I have seen him use, were luggage. He really loves all kinds of bags, overnight bags, travel bags, tog bags. 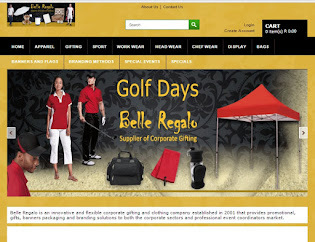 Bags make great corporate gifts and we also have a terrific Indestruktible range of corporate bags. One thing that I know about my dad is that he really gets a thrill out of getting corporate gifts. He often shows off the corporate gifts that one of his suppliers has given to him, as they make him feel valued by his suppliers. My father is a no nonsense kind of guy. He says it the way that it is gets the best prices out of his suppliers and would be a terrific companion when visiting a country where you have to haggle. But he is quite willing to spend just a little more time on suppliers who make him feel valued. So if you are wondering if giving out corporate gifts if worth it, if I go by my father’s personality, it definitely is worthwhile.